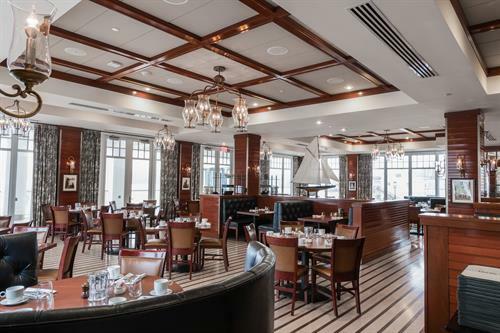 We welcome you to join our table, where the sweeping harbor and ocean views are as captivating as the fresh, seasonal cuisine. 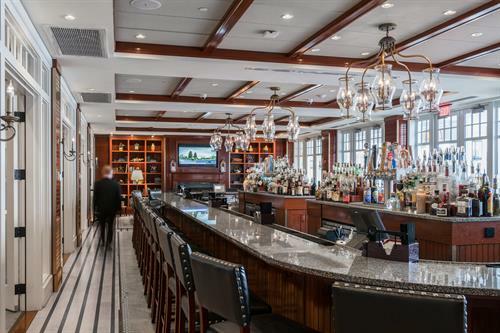 Amidst the waterfront charm of our restaurants and lounges, hotel guests and Gloucester residents gather to enjoy the creations of our chef, with every dish offering a creative union of flavors and ingredients. 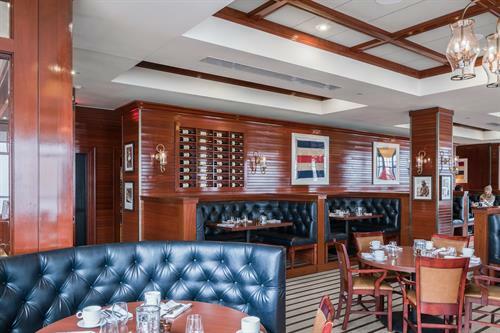 Located on the second-floor, our restaurant offers an oceanfront dining deck showcasing New England coastal dining at its best. Celebrate delicious Modern American cuisine prepared with fresh local ingredients by our Chef and culinary team. 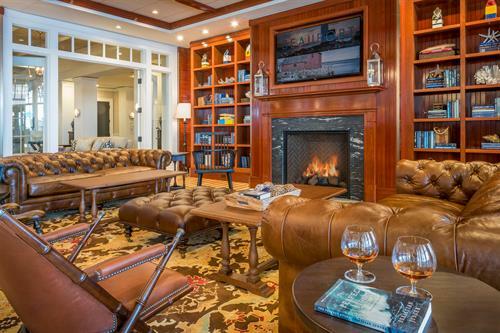 Or relax and unwind in cozy elegance at the oceanfront bar, by the fireplace or out by the fire pit on the deck. With a plenty of seats to encourage community gatherings, enjoy a light-hearted take on the region's culinary delights. A classic American Bistro menu invites guests and visitors to enjoy casual, seasonally inspired dishes. 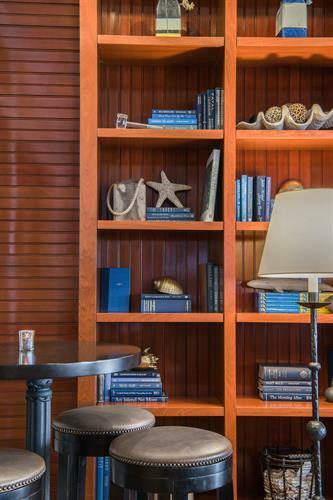 The tasteful décor, seaside vistas and comfortable atmosphere provide an experience unlike any other in the area.